Hello friends . 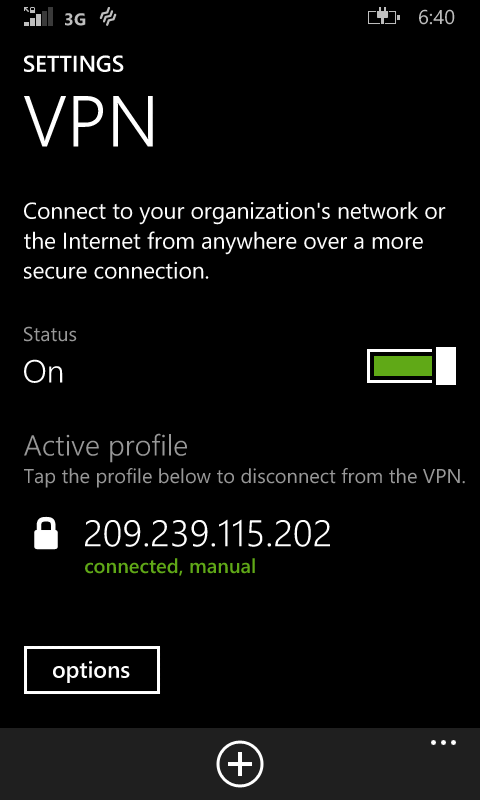 Since the launch of Windows Phone 8.1 to all phones there has been a option we were not able to configure properly and that was VPN. Well... I figured it out finally and successfully connected my phone to VPN! So follow these steps to connect our phone to any VPN network very quickly within 2minutes! 2. Open it. (Make sure you are connected to the internet!). 3. It will give you the username and password and also a preshared key. Note them down first. Also the IP of the country you desire. 5. then put the IP address in the server address option. 6. Switch to ipsec protocol.Choose connect with username+password+preshared key. 7. Add the username , Password and the preshared key. Comment the steps you want in more detail . We are here to help you all! I also had issues in connecting to whatsapp but following these steps helped me alot. Thankfully, now i have access to Whtsapp uisng VPN for whatsapp , which was previously blocked in my region.